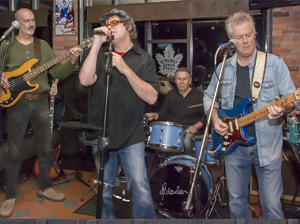 Local Roots run deep for The Mugs band – We asked Steve McGinnis, lead singer of The Mugs band, for his thoughts on playing at this year’s festival and he said, “it’s such a pleasure returning to my hometown of Elmvale to take part in this long-standing tradition. The McGinnis family settled here in 1855 and have always been involved in the community so I’m honoured to carry on that heritage by taking the stage once again with my band, The Mugs”. Classic rock is alive and well when The Mugs hit the stage. This energetic band is guaranteed to get the crowd on their feet and yelling for more! 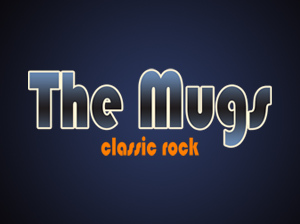 http://www.facebook.com/themugsbandIf you’re looking for a first-rate band to rock your next event, come check out The Mugs on the main stage at this year’s festival. Featuring Carl Rabinowitz on bass, Steve Hanmore on guitar, Steve Chreptak on drums and Steve McGinnis on vocals, these guys are all about classic rock dance hits from the 60s to the 90s with fine three-part harmonies. If you love The Beatles, Tragically Hip, Tom Petty, Dire Straits, Eagles, The Police and Rolling Stones then you’ll love The Mugs as well! Be sure to like their facebook page to keep track of upcoming shows in your town.